Students at Volusia County High Schools will benefit from a statewide investment by AT&T this year, one that seeks to increase understanding of how classroom curriculum translates into STEM (science, technology, engineering and math) careers. To provide a critical link from classroom to careers, AT&T is once again working with the Consortium of Florida Education Foundations (CFEF) to provide experiential learning opportunities for students in school districts across Florida. 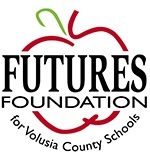 Real-world application of STEM education concepts, problem-solving and critical thinking skills will all be key elements of the 45 separate projects to be organized and funded through CFEF member local education foundations, including FUTURES Foundation for Volusia County Schools. Two local projects will be funded by this $4,000 grant. The first project, designed by Enviro/STEM Resource Teacher Louise Chapman, What’s the best way to determine what microplastics are in the ocean and its inhabitants? aims to develop a better way of filtering sea water and oyster mass to determine the density and type of microplastics without introducing plastics into the sample. Select students from all ten Volusia County high schools will work with scientists from the Marine Discovery Center to collect samples and then modify existing protocols to see if the pervasive microplastic materials can be counted from a sample with certainty. Designed by the Director of the Pine Ride Advanced Manufacturing Academy James “Jim” Maynard, the second project Solving the Ocean’s Straw Problem Through Small Recycling Stations will develop small and economical thermoplastic recycling stations so that businesses (like restaurants) can recycle their thermoformable plastic waste (for example straws or cups) into useful, sellable, promotional items. Sarah Dougherty of Dougherty Manufacturing has agreed to serve as a business partner on this project and will be working with students to resolve any design or material problems that are beyond the scope of their abilities. Students will also take a field trip to Dougherty Manufacturing to see how the same processes work on a large commercial scale. Photo (pictured left to right): Louise Chapman, James “Jim” Maynard, Desiree Young, Ashlynn Wise, Carter DeCuir (student leaders for the Pine Ridge High School project) and Kevin Craig, AT&T Regional Director External & Legislative Affairs. The CFEF is the membership organization for Florida’s school district-wide local education foundations. 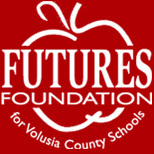 Established in 1987, the CFEF seeks to advance student achievement in Florida by increasing private sector investment and involvement in public education. The CFEF now has 64 member foundations with 1,100 business and community leaders serving as volunteer board members. Collectively, they raise more than $64 million annually to support students, teachers and schools through a variety of programs. The CFEF has provided more than $46 million to local education foundations since 2001 through various private- and public-sector partnerships, including the State of Florida School District Education Foundation Matching Grant Program.